Right now, I am currently in the process of trying out a bow mounted Motorguide xi5 electric motor on my Nucanoe Pursuit. A bow mounted electric motor with gps opens up a lot of possibilities in kayak catfishing. First off, a bow mounted motor gives you much greater control than with a motor on the stern. It is a lot easier to pull a boat/kayak than it is to push one. The thing I am most excited about is that I believe it can potentially replace a traditional anchor. Anchor fishing in a kayak is sketchy at best and downright dangerous at worst. Being able to use spot lock to hold your position offers a safer alternative than having your kayak roped to an anchor on the bottom of the river. It also makes anchor fishing much more efficient by cutting out the time it takes to drop/retrieve your anchor at each spot. A few minutes to drop and retrieve an anchor at each location may not seem like much but when multiplied over the course of the year, it equates to hours of lost time without baits in the water. Another advantage it offers is course heading. One of the things I often struggle with is holding tight to specific contours during periods of high winds or on days when there is a lot of pleasure boat wake. With the course heading feature, I can set a path and the motor will automatically make the necessary adjustments to keep me on that structure regardless of conditions. This will allow me to spend more of my time with baits on structure and less time fighting adverse conditions which should translate into more fish being caught. Cruise control is another feature that I can see being a great benefit to kayak catfishermen. This feature used in conjunction with course heading allows you to set the speed your kayak will travel. 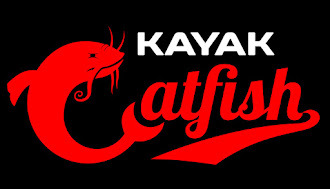 A problem I have encountered while trolling for catfish is that when I hook a big fish or get snagged, the kayak immediately wants to turn back toward the resistance. It is impossible to keep myself moving forward in those situations when fishing out of a paddle or pedal kayak. By using the cruise control option, the kayak will continue to follow the path I set and will automatically adjust to maintain the desired speed. Not only will this make trolling for catfish more efficient but it will also open up the possibility for using planer boards which is something I have struggled with in the past. I realize this is a polarizing topic. Many kayak fishermen are adamantly against the thought of adding an electric motor to a kayak. You are free to hold whatever opinion you choose. I love catching big fish from a kayak but I am not a kayaking purist by any stretch of the imagination. If I was, I would have never switched to a pedal kayak a couple years ago. Going from a paddle kayak to a pedal kayak has improved my success on the water dramatically. It has expanded my range and allowed me to fish on days where the winds would have previously prevented me from leaving the house. If adding an electric motor with GPS will improve on this even further, then I am more than willing to give it a shot. Maybe it will work out and maybe it won't. I will soon find out. In my next post, I will address the common objections to adding an electric motor to your kayak.